Welcome back to our silly brews column! Today’s theme: You can’t pick your legendaries. At least not on a budget. The Titans here cost 2 apiece. What a bargain? I’d like to say there are no bad cards in Eternal. But it’s important to keep an open mind, because I’ve played a lot of bad cards that eventually became good. My first Masters deck was the then-unpopular Funstable Form, a card with combos so nice they nerfed it at least twice (first hitting crazy Herald/Infernus combos, then cutting the delightful Madness/Form interaction where you got to keep your transformed unit). I took the much maligned Shimmerpacks into a tournament landscape during Closed Beta and Peppr perfected that deck into a meta staple for a month or two before Open Beta hit (and now it’s everywhere). This week a Shimmerpack deck was the tournament winner in a grand Praxis showdown, while my own Praxis deck turned a key mirror match – twice – with Claw of the First Dragon. So while there are probably bad cards in Eternal, I take these accusations with a grain of salt. This is especially true of legendaries. The rarest of Eternal cards are mostly grand puzzles, asking the simple question of “how do you make this work?” For some, like Siraf and Icaria, the answer is pretty easy – get to the late game, these cards will do the rest. Others, like Treasury Gate, require a stricter adherence to a set of principles but generally reward you for trying. And others, like Light the Fuse and Call The Ancients… well. They make it difficult. Call The Ancients has always been an interesting build-around-me. It trades card advantage – arguably the most crucial resource in Eternal – for the chance that, someday, you’ll draw something both very strong and very cheap. Unlike Curiox, it has no capacity to help you on board if you don’t draw those cards. The four titans that it shuffles into your deck are absurd midrange beaters with Aegis and Endurance, two skills that are effective at punishing control decks. The Endurance and enormous size means they control the board well too, and the price – a mere two power – has never been more right. You haven’t lived the dream until you’ve played Seat of Wisdom, Call The Ancients turn one into Titan turn two, a sequence of events so brutally lucky it can provoke an instant forfeit. The main problem is that the Titans don’t always singlehandedly win games, though they’re a very good start. The second problem is that at the end of the day, the cost of the card in board advantage and hand advantage is higher than the decks capacity to luck out. Unless you have a way to pull a Titan reliably, Call the Ancients just isn’t a good card – and most of the ways that you can fetch them are fairly expensive or unreliable in and of themselves. Throughout closed beta I tried a lot of different ways to make Call good – kitschy Whispering Wind decks that too often grabbed more Whispering Winds as well as 4 faction Rise to the Challenge, and Celestial Omen decks which felt like they could probably just as easily be grabbing Channel the Tempest or another big finisher. All of them were grand fun, but none quite made it work the way that I felt it should. A key card here is Scheme, the remake of Push Onward that picks through more cards than Push Onward but offers no cost reduction – something that Titans never really needed. Push Onward was always a strong card in Call decks, but Scheme’s digging slightly deeper and offers even better consistency. We also have another fun route to thinning our deck out – simply throwing it away. By adapting Call the Ancients into Shadow, we get access to Sporefolk, a card that tosses a huge number of cards into your Void where they can be easily accessed by Dark Return and, best of all: Haunting Scream. Because, it turns out, Titans cost less than 4! Flying, Charge, Endurance, Aegis 6/6 Titans are a pretty rough beat. So this makes a good start. From there, we fill around the deck with the traditional Scream archetype, an archetype that heavily synergizes with both Scheme and Sporefolk. Gorgon Fanatic gets us more card draw, and a neat boost of health to boot. Direwood Beastcaller provides the ultimate one-hit win-con, with a commanding board presence that’s hard to beat. Throw some Storms and Levitates into the mix and you have great ways to get past Permafrosts and blockades. Since cards keep their text in the void, Dark Return can pick up Titans and Fanatics with the Flying and Charge skills given to them by Scream. To leverage this fact in the way only Time splash can, we also have twin Twinnings. Stacking recursion upon recursion is very powerful here; as we can repeat Gorgon Fanatic reliably almost every turn, dealing critical damage and generating a ton of card advantage. This deck can regularly draw over the hand limit as it gets to beat in with a flying Gorgons virtually every turn. On top of that, Twinning is an amazing card when it can be paired with high value targets, especially Titans. For a final bit of fun and to take extra advantage of Sporefolk, we have Ephemeral Wisp, the banana-looking thing that makes up one part of our bad Call pun. Wisp is a card that really likes getting tossed into the void and Devoured for card advantage, and it stalls boards quite handily when we miss our Calls. Enabling Devour is an especially important synergy here, as alternate cheap draw sources are helpful and being able to eat your own units can help get Screams across against those 8x Silence Combrei decks. I also include my traditional one-of Infinite Hourglass in here, an anti-control singleton I try to find space for in almost any deck due to its ability to turn off six to eight cards in Icaria Blue and Visage Control decks. And voila! A scream deck with silly yellow nonsense that makes the Call. This is still not reliable enough to be a tournament level deck, but it’s as close as Call the Ancients has ever been to being viable – and it’s extremely fun! The primary advantage here is that the deck doesn’t completely need Call to function while still supplementing it – and allowing it to supplement the rest of your deck. Since the deck’s curve never gets higher than 4, it stays tightly packed in at 25 power with Seals and Seats for fixing. The biggest advantage to this deck is that while it is built around Call The Ancients, Call merely supplements the deck rather than becoming the core focus – an important distinction considering the cards “build a better deck” nature. If you’re feeling more Xenan Serial Killer than Feln Scream, the deck can be altered to fit Dawnwalkers instead of Wisps if you increase the number of 5 strength units – Call the Ancients does, after all, fill out a healthy supply of 5 strength or greater units. When I want to get even sillier with this tech, I find space for an Accelerate or two to get the infiltrate units rolling and then save it in hand for an Argenport Ringmaster at the top end – the next best thing from the now-defunct Mastermind combo. 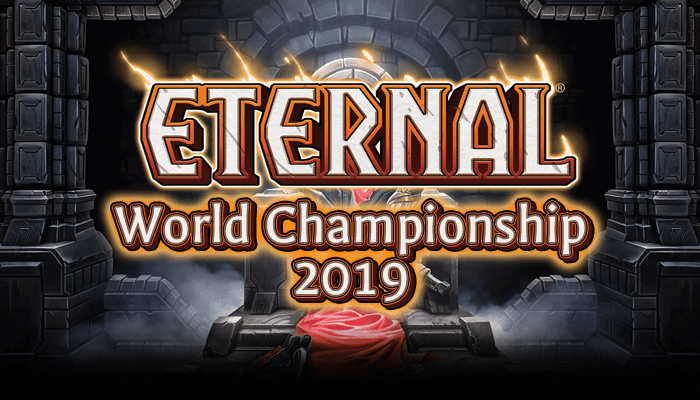 If you want to see a video demonstration, you can check out our corresponding Eternal Brews video. Like all our brews, I encourage you to experiment with it and fill out with what you want. Have fun with it. There’s a ton of interesting synergy to explore here. In my estimation, most “bad” cards are just cards that fit into less decks than others, or in some instances, that we can’t yet find a deck for. Written while showing a picture of **WITCHING HOUR**. No, Loco. Some cards are bad not because we have yet to find a home for them, but because they were forcibly REMOVED from the homes that very much were found for them, and they were wonderful homes to boot. Witching hour, gilded glaive, champion of cunning…these aren’t cards that “we have yet to find a home for”. These are cards that had good, loving, powerful homes found for them. And then got removed from those homes. I’m all for encouraging brewing on limited resources, but the picture of witching hour up there really got my goat. I had a lot of fun watching you streaming this deck. It seemed like you were really having a blast! I was thinking of doing a similar build-around once I reach my first 4-of legendary, though that’ll probably still be a couple weeks away at least.